In 2006, I participated in a study designed to find a way to predict the capacity of an Energy Medicine Practitioner in a research setting. The series of studies beginning in 2004 used a Triaxial ELF (Extra-Low-Frequency) Magnetic Field Meter to measure changes in magnetic fields of seventeen Usui Reiki Practitioners. Reiki is a form of energy healing that originated in Japan and is practiced worldwide. The pilot data demonstrates a significant difference in the number of field changes per minute when the Reiki practitioners are running healing energy and when they are not (p<.00001). In the pilot trials REIKI OFF averaged thirty to thirty-five magnetic field changes per minute, while REIKI ON increased to forty-five to fifty-five magnetic field changes per minute. A total of four trials were done per healer — two with the left hand and two with the right. These findings indicate that changes in extra low frequency, low amplitude magnetic fields can be correlated with the practice of energy healing. Findings for the initial study were presented at the World QiGong Conference in San Francisco, California in November 2004. Subsequent findings were presented to a special committee at the National Institutes of Health’s National Center for Complementary and Alternative Medicine in April 2006 and at the Toward a Science of Consciousness Conference in Tucson, Arizona in May 2006. References to the study are made in the Journal of Alternative and Complementary Medicine and the International Journal of Healing and Caring online. Gary E. Schwartz, Ph.D. discusses this experiment in Chapter 11 of his book The Energy Healing Experiments. Additional studies are ongoing at this time. In 2006, a Biophoton imaging system was used to capture two types of image effects — “Healing” and “Glowing.” Biophotons are found in all living cells and are emitted during metabolic processes. They are unseen by the naked eye and require sensitive detectors. These are the same detectors that are used by astronomers to image distant stars. Twenty Energy Practitioners were asked to do a “healing” for ten minutes on an active leaf and then that leaf and a control leaf were imaged for 1.5 hours. 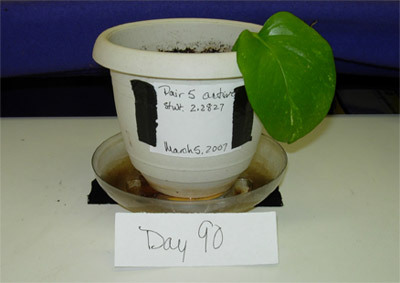 In the second trial the same Energy Practitioners were asked to make the leaf “glow” by running energy on it for ten minutes. 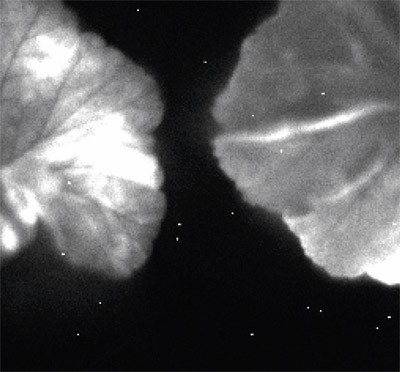 The leaf and a control leaf were again imaged for 1.5 hours. Two trials were done of each type. A total of 16 individual images were reviewed for each leaf in the “healing” and each leaf in the “glowing” condition. The results were dramatic. The leaves that received the healing were dimmer immediately, while those that received the glowing kept getting brighter. You can see that the right is much dimmer as it should be in a healing state. 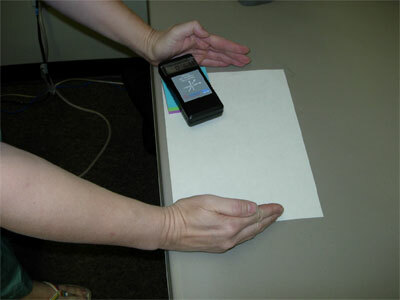 The findings were presented at the North American CAM Research Conference in Edmonton, Canada in May 2006. Gary E. Schwartz, Ph.D. discusses this experiment in Chapter 12 of his book The Energy Healing Experiments. In 2007, I participated in a study of distance healing on plants where I sent 10 minutes of energy to a leaf four times a day. This leaf was disconnected from any plant. Seven total studies were done. 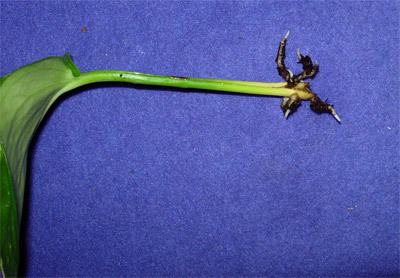 The active leaves lived 90+ days and some even rooted.